The season’s fourth major is upon us this week as the biggest field of the season takes to the lanes for the United States Bowling Congress Masters. 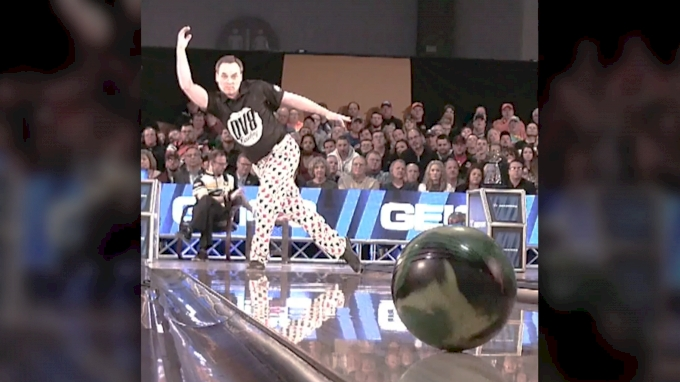 The best players in the world are making their way from Detroit and the World Series of Bowling to Las Vegas to join some of the best amateur bowlers for the Masters at the Gold Coast Casino. The event begins Wednesday live on FloBowling. To say Andrew Anderson’s 2019 season has been a struggle might be an understatement. The 2018 PBA Player of the Year has yet to crack the top 10 in any event this season, and his best finish so far in 2019 came at the Scorpion Championship at the World Series of Bowling when he finished 12th. With all that said, Anderson finally has something working in his favor this week as the defending champion at the Masters – he will be seeded directly into match play. Anderson will still bowl the 15 games of qualifying with the field but regardless of where he finishes, he is guaranteed no worse than the No. 64 seed in the bracket. Anderson tore a tendon in his middle finger of his bowling hand at the World Bowling Men’s Championships late last year. He said his doctor told him it would take six-to-eight weeks to heal, but Anderson instead elected to change his grip and bowl through the pain. After his run at the WSOB ended, Anderson said he was feeling healthier and ready for the challenge at the Masters. The Masters features the largest field of any PBA Tour event throughout the season with nearly 450 players registered as of Friday. In fact, the field was expanded by USBC after it sold out at 396 entries. In order to accommodate even more entries, USBC decided to go with five players per pair in qualifying and brought the maximum field size up to 496 though it appears unlikely it will reach that number. Since it’s a major, all the big names will be there. Among them will be four-time Masters champion Jason Belmonte, who will look to win his third major of the season. One name missing from the roster is PBA Hall of Famer Pete Weber, who has struggled in his appearances on the PBA Tour this season. With so many players in the field, qualifying days are long with three squads per day. The players only bowl one five-game block per day, so the long schedule really impacts the ball reps who will have to be there for every block the most. Qualifying begins Wednesday and continues through Friday. All players will bowl five games a day for a qualifying total of 15 games. After the third round of qualifying, the field will be cut to the top 63 players plus defending champion Anderson. On Saturday and Sunday, the 64-player double-elimination match-play bracket plays out. Matches are three games total pins to determine the winners, and by the end of the bracket, five players will remain and advance to the stepladder finals. As for the lane condition, USBC does not announce what pattern will be used until one hour prior to the start of the practice session. The only information available from USBC is that it will be Sport compliant. The live action on FloBowling gets underway Wednesday at 11 a.m. Eastern with the opening round of qualifying and continues through match play Sunday. The stepladder finals of the Masters will be broadcast Monday live on FS1 at 9 p.m. Eastern for audiences in the United States. International viewers can watch live on FloBowling. An archive of the show will be available on FloBowling seven days after it airs live.